While cloud vendors may provide basic mapping and location capabilities with their cloud services, Esri is leading the way with a comprehensive geospatial cloud strategy and platform for supporting a complete spectrum of location capabilities. These range from simple mapping and location analytics to sophisticated tools for addressing complex geospatial problems. Most Esri users—including thousands of leading businesses, as well as most local, state, and national governments—are systematically integrating Esri’s cloud-based geospatial capabilities into their operations. They are incorporating Esri’s Geospatial Cloud services into their on-premises systems and workflows. 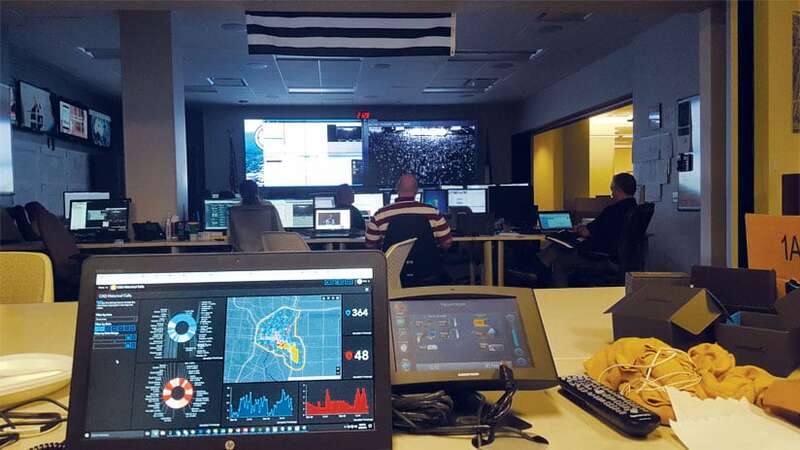 With Esri’s Geospatial Cloud, users like the City of San Antonio and its partner, the Southwest Texas Fusion Center, can take advantage of real-time data to stay on top of emergency calls and incidents. Esri started providing geospatial services in 2011 with basic mapping and analytics implemented as high-performance web services. These offerings have since been improved and expanded into a complete suite of geographic information capabilities that include advanced visualization and spatial analytics. Today, Esri offers new, flexible, role-based licensing called ArcGIS User Types, which allow customers to license and use Esri software to match their needs. Esri is also the only company delivering a full-blown, cloud-based GIS that includes hundreds of dynamic capabilities that continuously leverage a “living atlas”—a rich library of ready-to-use maps, imagery, and demographic content for the entire world. This platform is massive, scalable, and makes billions of maps daily. It contains a superb collection of apps, as well as open APIs that thousands of developers use to create both simple and sophisticated apps that embed the power of GIS in nearly everything. Cloud-based services from Esri are easy to use and available for businesses and agencies of all sizes. These capabilities are helping thousands of organizations around the world integrate mapping and geospatial analysis into their apps, providing a whole new understanding of complex problems. Esri’s Geospatial Cloud lets users easily map and analyze their own data and combine it with thousands of other online information layers to discover new relationships and insights. The system is designed to handle and integrate both big data and real-time data flowing from the Internet of Things (IoT). It can easily connect the GIS team with the data science team. Esri’s Geospatial Cloud is open and interoperable with other technologies and offers an array of out-of-the box apps and developer tools that are easy to configure. Many of these apps support both interactive and batch geospatial analyses, which easily reveal previously hidden patterns and connections. With these apps, organizations are engaging in stronger decision-making. Esri is creating focused, geoenabled systems for specific industries and types of work. The ways in which organizations apply this technology to their systems and workflows is broad and expanding. They range from advancing supply chain management and getting real-time field updates for utilities to helping retailers generate customer analytics and optimizing location for just about everything. The software can be configured to help businesses manage assets in the field, analyze usage trends, and reveal location-based intelligence about customer interactions. Governments use GIS-powered location intelligence for numerous mission-critical actions and operations. Even the film industry employs the technology to build and manipulate 3D models of cities. Here are 10 examples of how Esri combines cloud computing and GIS software to create the in-depth and ongoing location intelligence that is vital to any organization’s success. The City of San Antonio, Texas, and its security partner, the Southwest Texas Fusion Center, are supporting real-time geotracking of officers and emergency medical services (EMS) personnel at secure events, including college basketball tournaments and the city’s tricentennial celebration, which took place in 2018. The ability to provide this real-time awareness has led to the development of many innovative field apps that dramatically improve monitoring and immediate response at live events. Cities are using sensor data from the IoT for everything from monitoring infrastructure to tracking delivery services. This is helping organizations manage operations and decision-making at multiple scales. In the private sector, retailers are improving their operations, product mix, and customer engagement strategies using real-time IoT data enriched with demographics and location analytics. 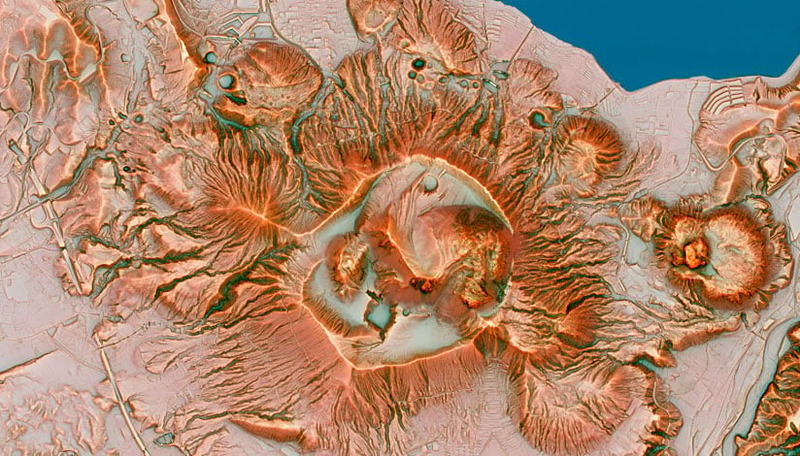 The world’s largest digital geospatial content library—a repository of thousands of ready-to-use maps and authoritative datasets—is a collaborative effort from Esri and its users and partners to share the best maps and data for the planet. ArcGIS Living Atlas of the World is accessible from any device, anywhere, at any time, and it is constantly growing and improving. Esri delivers a full-blown, cloud-based GIS with hundreds of dynamic capabilities that continuously leverage ArcGIS Living Atlas of the World, a rich library of ready-to-use maps, imagery, and demographics content from around the globe. Living Atlas content includes up-to-date population and demographic segmentation data. The system integrates millions of earth observations from a variety of satellite sensors that update their imagery daily. There are also many thematic data layers and real-time networks of sensors providing dynamic sources of information, such as real-time maps of weather, traffic, and changes in land use. Esri’s open architecture enables the integration of available machine learning, artificial intelligence (AI), and predictive analytics that work in conjunction with GIS. The National Oceanic and Atmospheric Administration (NOAA) developed a rigorous approach to uncover what has caused an alarming surge in instances of valley fever, a rare fungal lung infection that crops up in the southwestern United States. Using the linchpin of geography, researchers combined data from several scientific fields with spatial analysis and statistical modeling to show that the lung infection actually has a strong link to rising ocean temperatures, which affect wind patterns. Across government agencies and in industries that extend from retail and health care to emergency management and manufacturing, machine learning is analyzing location data to create better solutions to wide-ranging problems. Organizations are combining GIS tools with AI to assess risk, improve logistics and delivery, plan and select strategic locations, and predict a multitude of spatial phenomena such as traffic accidents and crime. 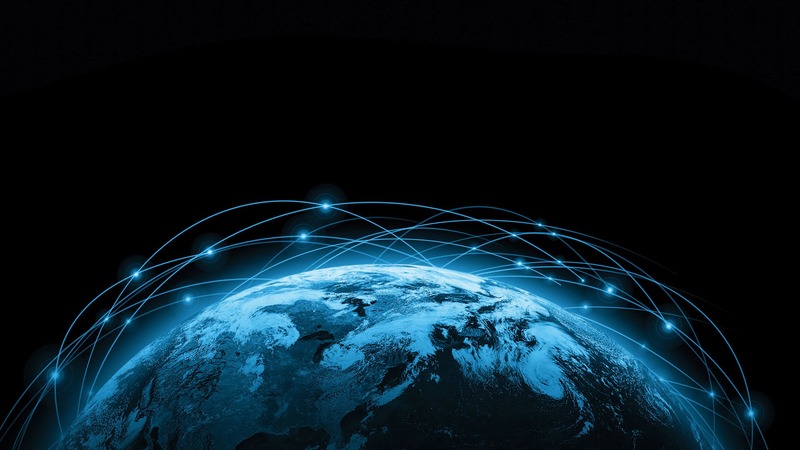 Porting GIS to the cloud enhances the technology’s integrative power, connecting data and workflows and delivering access to location-based insights. The software adapts to hybrid cloud architecture that can include a mix of on-premises, private cloud, and public cloud services. A large European retailer has democratized access to and use of location intelligence across its organization. Since starting this in 2015, the retailer has doubled its revenue by identifying store locations that show the highest potential for earnings and gaining an edge over competitors. The National Aeronautics and Space Administration’s (NASA) Langley Research Center in Virginia created a detailed map of the entire center, including the interior and exterior of over 200 facilities. More than 300 curated and tailored apps use the map as a backdrop for everything, from daily maintenance and safety to flood prevention and sustainability. GIS functionality is readily integrated into workflows, where maps and spatial information aid understanding. 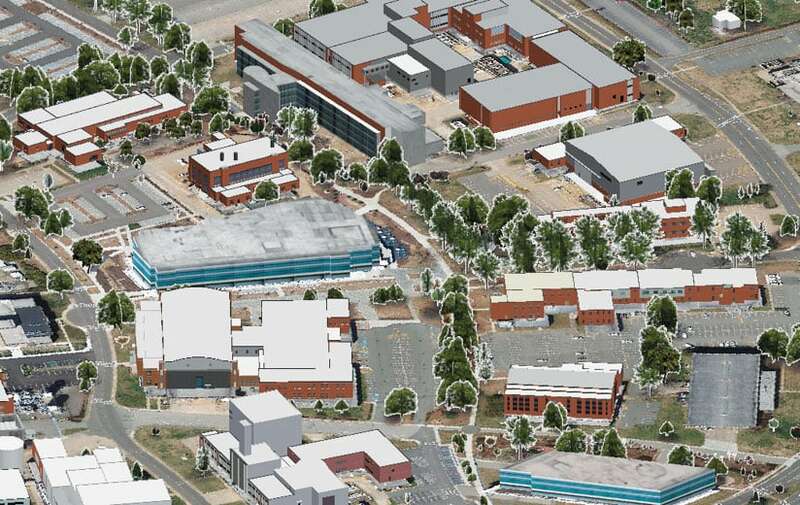 At the National Aeronautics and Space Administration’s (NASA) Langley Research Center, a detailed map of the entire center—including the interior and exterior of more than 200 facilities—supports daily maintenance, safety, sustainability, and more. 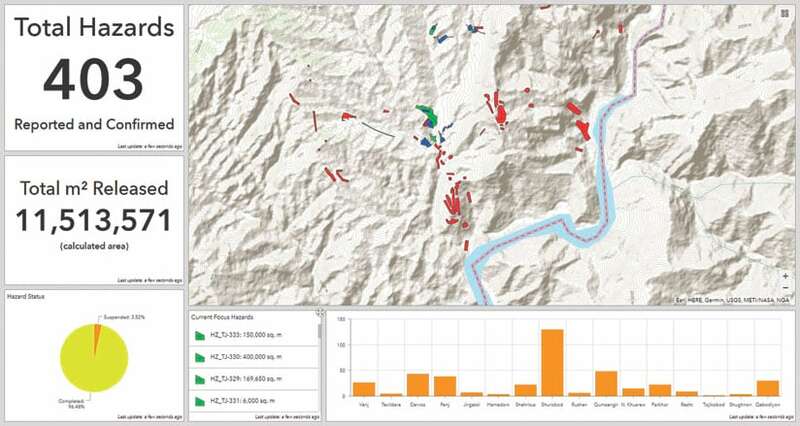 The Geneva International Centre for Humanitarian Demining (GICHD), which aims to find and remove land mines and other unexploded ordnance from vulnerable locations around the world, built an information management tool for office use and then converted the workflows to create web-based apps that personnel now use to review and edit data and make approval decisions. It works because ArcGIS Pro can perform just as well in a properly configured cloud or on-premises virtualized environment as on a desktop machine. The platform leverages modern hardware and computing technology to display graphics-rich maps and scenes and to perform spatial analysis. Because of its remoteness and harsh weather, the Arctic is undermapped. So the National Geospatial-Intelligence Agency (NGA), the National Science Foundation (NSF), the University of Minnesota, Cornell University, Ohio State University, and Esri teamed up to automatically produce high-resolution, high-quality digital elevation models (DEMs) of the Arctic using optical stereo imagery. GIS can make use of the vast amounts of data in imagery sent from small satellites, unmanned aerial system platforms, and open data sources. 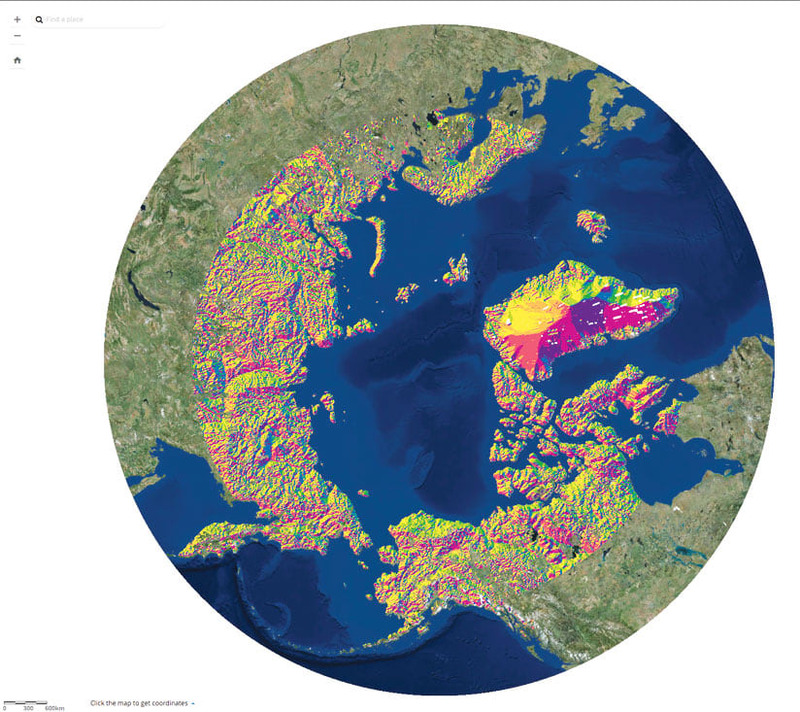 The ArcticDEM was a collaborative project to automatically produce high-resolution, high-quality, digital elevation models (DEMs) of the Arctic using optical stereo imagery. The National Capital Planning Commission in Washington, DC, created a realistic 3D “digital twin” of the US capital that it combines with models of proposed buildings in augmented reality to evaluate their visual and environmental impacts. This immersive solution helps the commission protect the city’s iconic landscape while supporting continued development. With mixed reality, the National Capital Planning Commission gains a new means of engaging stakeholders. The technology also enables the commission to produce better-informed designs and iterative alternatives that optimize environmental inputs and extend the city’s overall resilience. The 3D capabilities, specifically, are increasingly allowing city planners and developers to see how future structures will work in the physical world. Together with open APIs, Esri’s Geospatial Cloud provides a developer ecosystem that makes it easy to embed advanced GIS functionality into purpose-built apps. 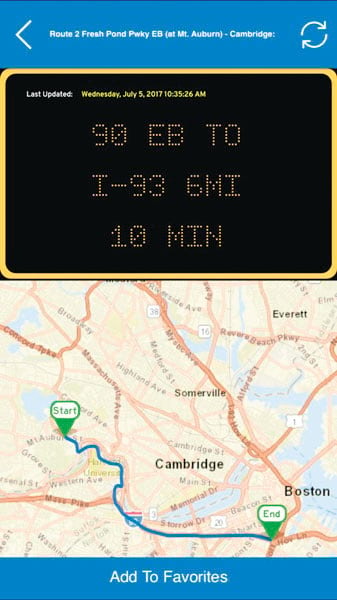 The Massachusetts Department of Transportation (MassDOT) took advantage of this when it developed an app called GoTime for commuters and travelers who want to figure out how long it will take them to drive from one place to another. The app displays, in real time, the travel information on permanent and temporary highway signs throughout the state. Users who want to preplan a trip can see their selected route from start to finish and even save select signs to a favorites list. In the GoTime app, the travel times shown on both permanent and temporary electronic highway signs are displayed on travelers’ phones. 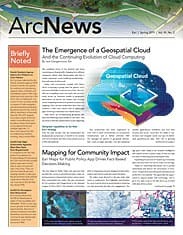 Esri continues to adapt to changing business, research, and computing climates on desktop computers and mobile devices and in the cloud. We are not slowing down and will persist in exploring new territory and breaking new ground with whole new ways of applying GIS.